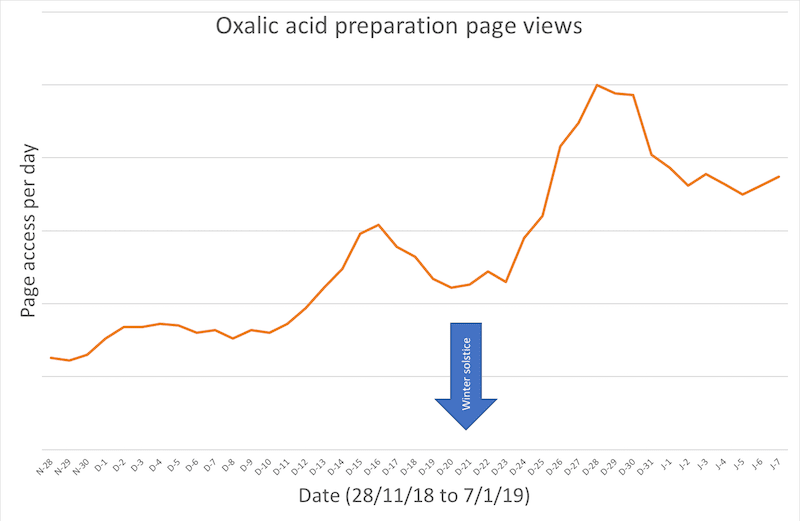 Determined using Arnia hive monitors – see the final graph on a recent post. All my winter nucs are in the Thorne’s polystyrene Everynuc and are looking reassuringly strong and healthy. Just three in a fortnight. There are exceptions to this – for example, a colony that has very recently been treated to reduce a heavy mite infestation. In this situation – assuming the treatment was successful – the viral load will be very high, but the mite levels will be very low. What happens to this viral load? Does it remain high or does it decrease? And even with an electron microscope they’re a real pain to count. So we don’t. For the nerdier readers this uses a technique termed qRT-PCR; quantitative reverse-transcription polymerase chain reaction. And I’m happy to acknowledge this despite usually using sublimation to treat my own colonies. I prefer to sublimate (‘vape’) as it is better tolerated by colonies and does not harm open brood (should there be any). Assuming, of course, that they’re accessing the recipe on or before the date they treat! ‘vapoholics’ made me laugh out loud…the number of “Breaking Bad” clothed beeks pics on internet post Christmas is extraordinary. after your previous column I followed advice and trickled earlier than habitual last week of the year. it is personal choice but trickling is cheap, efficient enough if timed correctly and most importantly ,totally safe for the user. Absolutely nothing wrong with trickling. If used correctly and at the appropriate time (OA when they’re broodless, Apiguard when it’s warm enough, Apistan when there’s no resistant mites … OK, very rarely 😉 ) there’s little to choose between the efficacy of any of the approved treatments. 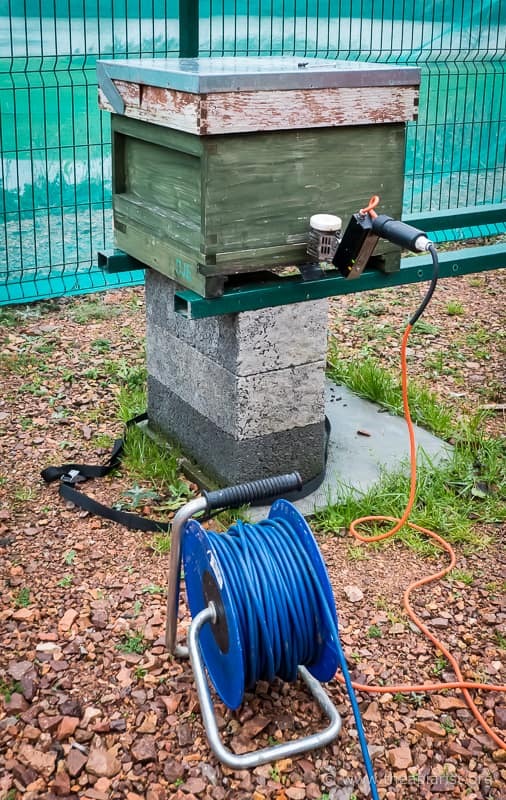 For the reasons you state, coupled with no requirement for specialised and expensive equipment or heavy generators, trickling makes perfect sense for many beekeepers. Hi, I started keeping bees last spring with 2 hives and now have 3…trying to get this to 6 this year. I liked the look of your hive supported on steel box section…do you have any more photos or advice. I’m presuming it’s the stand you’re interested in … the hive is a bog-standard Thorne’s cedar brood box, one of their second quality roofs and a DIY kewl floor. Stands are discussed in more detail here. This is probably one of those silly questions, but trickling is okay to do in poly hives is it? Thinking ahead to next winter when I plan/Hope to overwinter some poly nucs. Thanks. Yes Emily, no problem in poly hives. The OA is an acidic solution, prepared in weak syrup … nothing there that harms the poly. In my experience, the things that damage polystyrene hives are some solvents, excessive heat (such as a misplaced vaporiser nozzle or pan, not just a very hot day! ), woodpeckers and lemongrass oil. If you’re using them as bait hives put a couple of lemongrass oil on the top bar of a frame, not on the poly. Aha – but healthy bees are happy bees …..
‘My honey bees are in the happy state of improved health as I treated them with OA last week….,’. I like to think my bees are feeling full of life and vigor once the draining varroa mites have been lifted off them. I know when they’re grumpy….so why not when they’re happy? I suspect I’m a bit too scientifically clinical to allow myself to anthropomorphise about my bees. We can ascribe happiness or grumpiness to them, but their brain lacks the domains (the amygdal and cortex) that in higher organisms are associated with emotions. 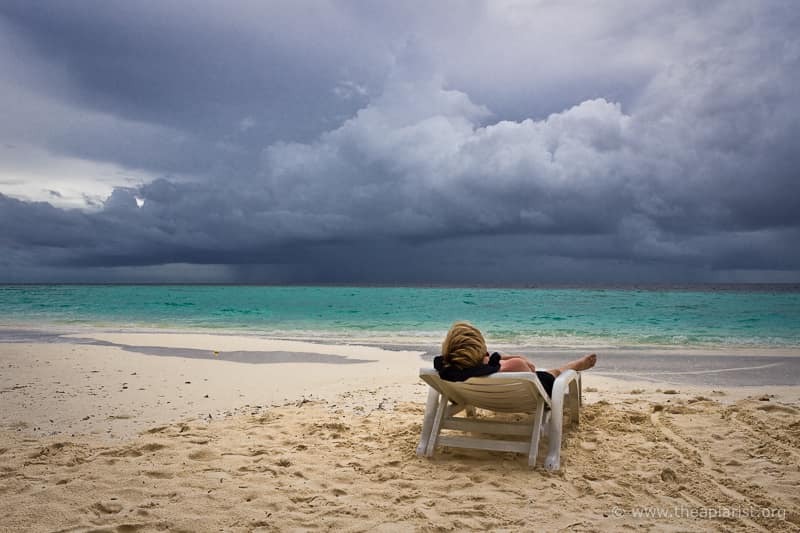 Of course – absence of evidence isn’t evidence of absence – that doesn’t mean that they don’t experience emotions. 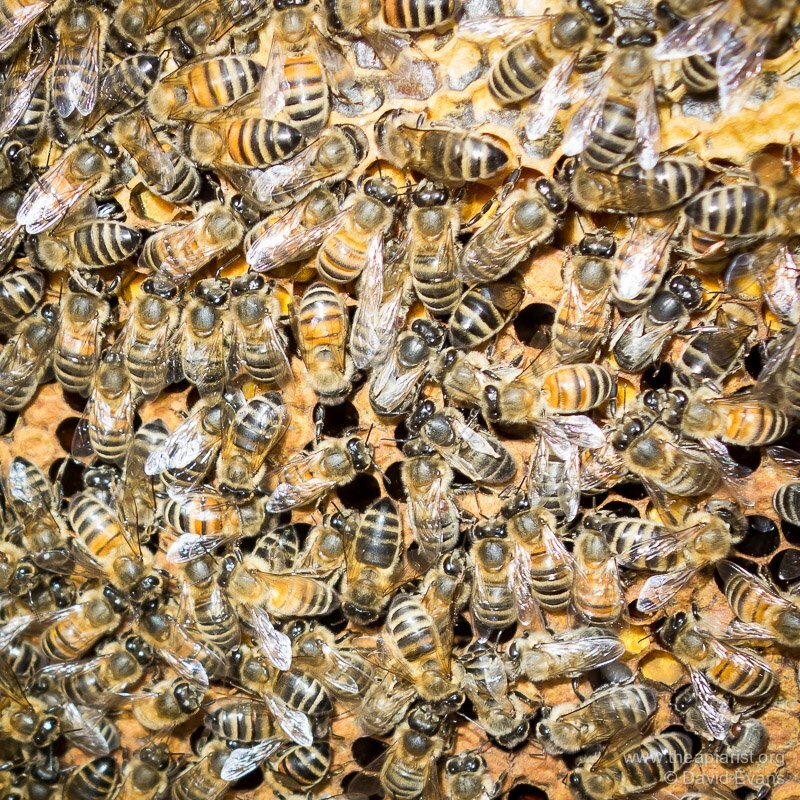 Geri Wright in Newcastle has done some interesting experiments on ‘pessimistic bias’ in bees which suggest that stressed bees have a ‘glass half empty’ approach to life. Whether this is truly evidence of moods, or the simple consequence of the physiological response to being buzzed in a lab bench vortexer for 60 seconds remains to be determined! Whether they’re happier or not, they’ll certainly be better off without the mites. To reduce to a manageable minimum or completely eradicate Varrow mite without any chemical applications, please, check Facebook group “*** ***** ***”. Thanks for the comment. I don’t allow advertising on the site, don’t particularly like Facebook and don’t think you can eradicate Varrow (sic) without using chemical treatment. If there’s a peer reviewed publication of a properly controlled study in a recognised journal I’d be interested to read about it and – if convinced – cover it here. Managing Varroa is reasonably easy. We have the tools to achieve it already. It’s mainly a case of applying those tools properly – the right tool at the right time etc. 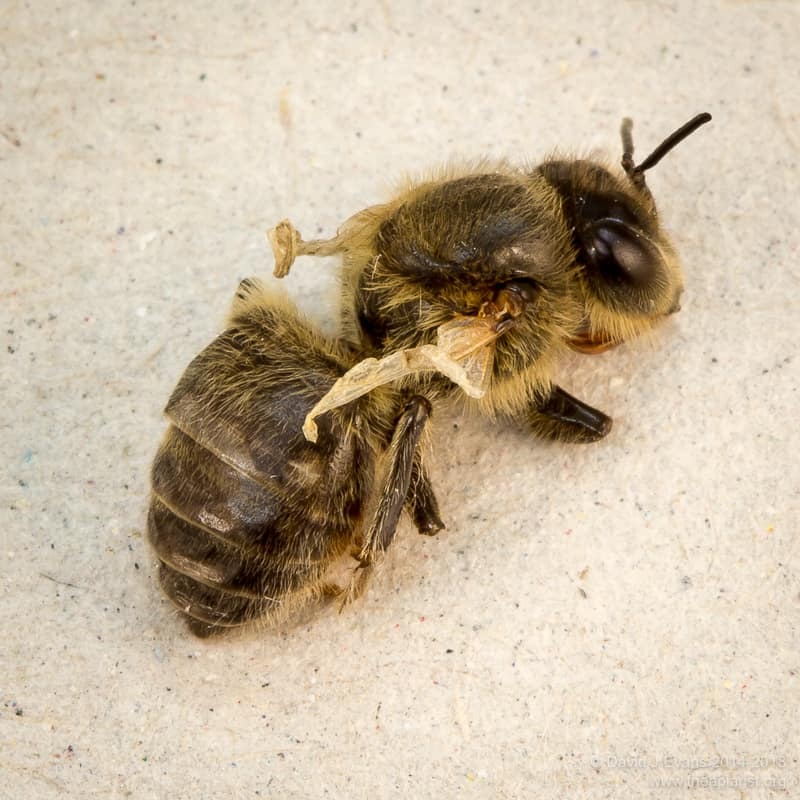 If beekeepers learn to do this their problems with mites are hugely reduced.